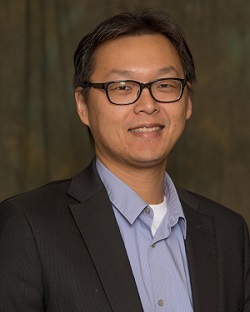 I am an assistant professor in the Department of Computer Science and Engineering at Michigan State University, and leading the Network System and Security (NSS) Research laboratory (@ 2153EB) in the department. I received a Ph.D. degree in Computer Science from University of California, Los Angeles, where I was a member of the WiNG group led by Professor Songwu Lu, in 2015. Before that, I received an MS degree in Computer Science from National Taiwan University in 2003, and the B.S. degree in Computer Science from National Central University in 2001. My research interests include computer and network security, mobile networks and systems, and wireless networking. Apr. 2019, I am invited to serve in the IEEE BigData'19 TPC. Oct. 2018, I am invited to serve in the IFIP Networking'19 TPC. Sep. 2018, I am invited to serve in the IEEE ICDCS'19 TPC. Aug. 2018, Receive an NSF award (CNS-1815636, leading PI) to support our research on side-channel attacks. Thanks NSF! Aug. 2018, Receive an NSF award (CNS-1814551, leading PI) to support our research on cellular IoT security. Thanks NSF! Aug. 2018, Our paper entitled "Device-Customized Mobile Network Access on Commodity Smartphones" is accepted to ACM/IEEE Transaction on Networking. Jun. 2018, I am invited to serve in the IEEE BigData'18 TPC. 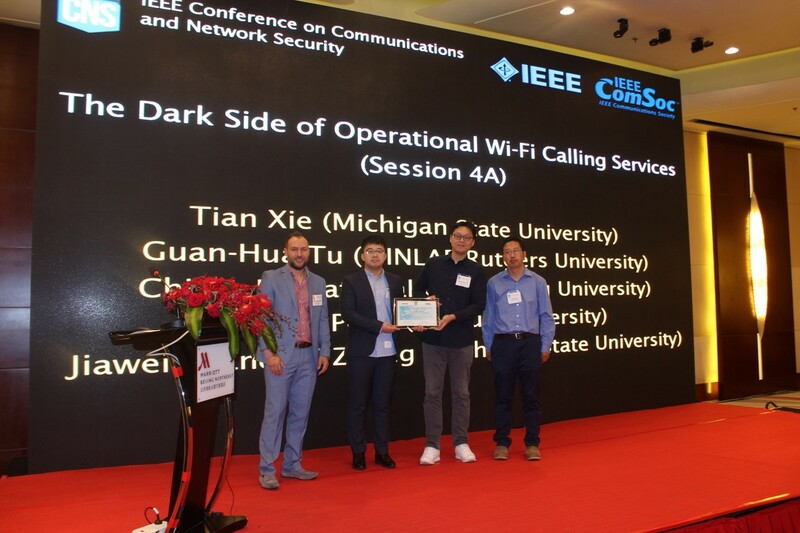 May 2018, Our Wi-Fi Calling paper won IEEE CNS'18 Best Paper Award. Apr. 2018, Congratulations to Tian for his travel grant to IEEE CNS'18. Apr. 2018, 1 paper is accepted by USENIX HotEdge'18. Mar. 2018, with Prof. Mi Zhang, I am co-chairing the 1st ACM Workshop on Mobile IoT Sensing, Security, and Privacy (Mobile IoT SSP) in conjunction with ACM MobiHoc 2018. Feb. 2018, 2 papers are accepted by IEEE CNS'18, especial congratulations to Xinyu Lei for his first paper at NSS. Jan. 2018, 2 papers are accepted by IEEE ICC'18, especial congratulations to Tian Xie for his first paper at NSS. Nov. 2017, I am invited to serve in the IEEE CNS'18 TPC. Jun. 2017, I am invited to serve in the IEEE ICCC'17 and NetV workshop with VTC-2017-Fall TPC. May 2017, I am invited to serve in the external for IEEE CNS'17 TPC. Apr. 2017, I am invited to serve in the ACM WiNTECH'17 TPC. Mar. 2017, I am invited to serve in the IEEE VTC'17 TPC. Jan. 2017, I am invited to serve in the ACM WearSys'17 TPC. Dec. 2016, I am invited to serve in the IEEE DSC'17 TPC. Aug. 2016, Our SMS security paper has been accepted by ACM CCS'16. 2015 ©Guan-Hua Tu. All rights reserved.